Sitting flush to the kitchen unit over the hob, this discreet hood draws away kitchen odours while remaining invisible at all times. 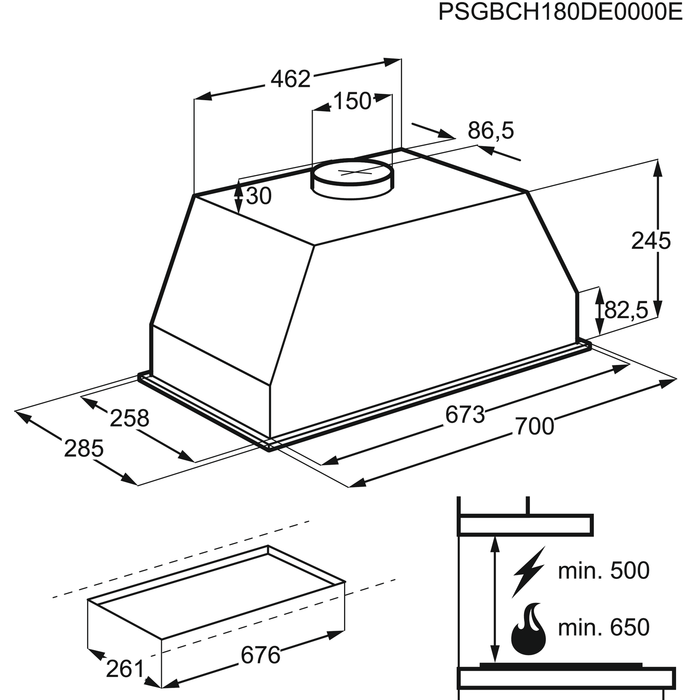 This Cooker hood clears the kitchen from cooking fumes quickly. That is beacuse the advanced cooker hood has an effecient and powerful motor. Gain the benefits of LED lighting. Clear and bright, it makes ideal task lighting over a hob and, additionally, it's long-lasting and energy-efficient too. The full range of hood functions are consolidated into a single electronic control. Meaning settings can be monitored and adjusted with just one touch. Precisely and intuitively. The charcoal filter from AEG deals takes care of cooking odours. Effectively and efficiently. Its superior performance leaves the kitchen vapour-free and feeling fresher. Making it the optimum environment to create culinary masterpieces. Delight in cooking. Forget about odours. Although I like the design and the fact that it is easy to clean, the noise is deafening when you're trying to cook and have a conversation! I would look for a quieter one if had the opportunity to change. Very noisy but good apart from that. Like the lights and easy cleaning. Only reason I would not recommend is due to the noise level even on lowest setting.